Gisella Perl was born into a Jewish family in Hungary in 1907. At 16 years old, Gisella Perl graduated first in her secondary-school class, the only woman and the only Jew. She asked her father to send her to medical school, but he refused at first, saying "I do not want my daughter to lose her faith and break away from Judaism.'' Several months later, she approached him again, this time with a prayer book he had given her, and said, ''I swear on this book that wherever life will take me, under whatever circumstances, I shall always remain a good, true Jew.'' Maurice Perl now changed his mind and she was able to enroll in medical school. She married a surgeon and was working as a gynecologist in Máramarossziget when the German Army invaded the country in 1944. Gisella and the rest of her family, were deported to extermination camps. Anne S. Reamey has pointed out: "As with many Jews across Hungary, Dr. Perl and her family were forced into a ghetto before being transported to Auschwitz in March 1944. After eight excruciating days packed tightly into cattle cars with almost no food or water, Dr. Perl's transport arrived at the gates of Auschwitz. As they entered into what, for many, would be their final resting place, families were separated into two lines: those going to the right were subjected to forced labor (about 3,000 people) while those going to the left were exterminated immediately in the gas chambers (7,000-9,000 people)." Gisella Perl was allowed to live because she was employed as a doctor at Auschwitz. One of the tasks that Gisella had to carry out was to persuade inmates to give blood: "The doctors of the hospital were sent for. The sight which greeted us when we entered Block VII is one never to be forgotten. From the cages along the walls about six hundred panic-stricken, trembling young women were looking at us with silent pleading in their eyes. The other hundred were lying on the ground, pale, faint, bleeding. Their pulse was almost inaudible, their breathing strained and deep rivers of blood were flowing around their bodies. Big, strong SS men were going from one to the other sticking tremendous needles into their veins and robbing their undernourished, emaciated bodies of their last drop of blood. The German army needed blood plasma! The guinea pigs of Auschwitz were just the people to furnish that plasma. Rassenschande or contamination with 'inferior Jewish blood' was forgotten. We were too 'inferior' to live, but not too inferior to keep the German army alive with our blood. Besides, nobody would know. The blood donors, along with the other prisoners of Auschwitz would never live to tell their tale. By the end of the war fat wheat would grow out of their ashes and the soap made of their bodies would be used to wash the laundry of the returning German heroes." Anne S. Reamey has suggested that Gisella Perl made a controversial decision to deal with Mengele's experiments: "After Dr. Perl's startling realization of the fates of the pregnant women discovered by Dr. Mengele, she began to perform surgeries that before the war she would have believed herself incapable of - abortions. In spite of her professional and religious beliefs as a doctor and an observant Jew, Dr. Perl began performing abortions on the dirty floors and bunks of the barracks in Auschwitz 'using only my dirty hands'. Without any medical instruments or anesthesia, and often in the cramped and filthy bunks within the women's barracks, Dr. Perl ended the lives of the fetuses in their mothers' womb (estimated at around 3,000) in the hopes that the mother would survive and later, perhaps, be able to bear children. In some instances, the pregnancy was too far along to be able to perform an abortion. In these cases Dr. Perl broke the amnionic sac and manually dilated the cervix to induce labor. In these cases, the premature infant (not yet completely developed), died almost instantly. Without the threat of their pregnancy being discovered, women were able to work without interruption, gaining them a temporary reprieve from their death sentences." Gisella Perl later wrote about the impact of living in a concentration camp had on the inmates in her book, I Was a Doctor at Auschwitz (1948): "One of the basic Nazi aims was to demoralize, humiliate, ruin us, not only physically but also spiritually. They did everything in their power to push us into the bottomless depths of degradation. Their spies were constantly among us to keep them informed about every thought, every feeling, every reaction we had, and one never knew who was one of their agents. There was only one law in Auschwitz - the law of the jungle - the law of self-preservation. Women who in their former lives were decent self-respecting human beings now stole, lied, spied, beat the others and - if necessary - killed them, in order to save their miserable lives. Stealing became an art, a virtue, something to be proud of." She was later transferred to Belsen. The camp was liberated on 15th April, 1945 by the British 11th Armoured Division. One of these soldiers, Peter Combs, later recalled: "The conditions in which these people live are appalling. One has to take a tour round and see their faces, their slow staggering gait and feeble movements. The state of their minds is plainly written on their faces, as starvation has reduced their bodies to skeletons. The fact is that all these were once clean-living and sane and certainly not the type to do harm to the Nazis. They are Jews and are dying now at the rate of three hundred a day. They must die and nothing can save them - their end is inescapable, they are far gone now to be brought back to life." With the troops was the journalist, Richard Dimbleby: "In the shade of some trees lay a great collection of bodies. I walked about them trying to count, there were perhaps 150 of them flung down on each other, all naked, all so thin that their yellow skin glistened like stretched rubber on their bones. Some of the poor starved creatures whose bodies were there looked so utterly unreal and inhuman that I could have imagined that they had never lived at all. They were like polished skeletons, the skeletons that medical students like to play practical jokes with. At one end of the pile a cluster of men and women were gathered round a fire; they were using rags and old shoes taken from the bodies to keep it alight, and they were heating soup over it. And close by was the enclosure where 500 children between the ages of five and twelve had been kept. They were not so hungry as the rest, for the women had sacrificed themselves to keep them alive. Babies were born at Belsen, some of them shrunken, wizened little things that could not live, because their mothers could not feed them." After leaving Belsen she learned that her husband had been beaten to death just before the liberation and her teenage son, who had been taken from her when she was deported, had died in a gas chamber. Her parents had also died in the extermination camps. Gisella Perl tried to poison herself and was sent to recuperate in a convent in France. In 1947 she moved to New York City until 1947. On arrival she was interrogated upon suspicion of being of assistance to the Schutzstaffel (SS) that ran the camps. 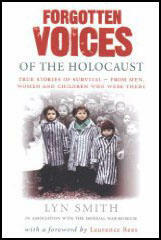 There was particular concern about the help she may have given to the experiments carried out by Dr. Josef Mengele. Gisella was eventually released because of the testimony of inmates. One woman reported: "Dr. Gisella Perl assisted Dr. Mengele during the day. However, at night Dr. Perl came into the barrack and administered an ointment with glue-like consistency to every sore, in order to heal this horrific rash. Dr. Perl came periodically to Barrack No. 10 and also went to other barracks to administer this ointment. The rash needed several weeks to clear up; however, it would often return a few days later. In Auschwitz, there was a belief among the female prisoners that the soup we were given to eat was drugged and the drug was the reason why we suffered from this horrific rash. Without Dr. Perl's medical knowledge and willingness to risk her life by helping us, it is would be impossible to know what would have happened to me and to many other female prisoners." Attempts were made to deport Gisella Perl. However, with the help of the politician, Sol Bloom, she was eventually given permission to stay. She became friendly with Eleanor Roosevelt who persuaded her to return to work as a doctor. She was employed as a gynecologist at Mount Sinai Hospital. It is estimated that over the next few years she delivered over 3,000 babies. Her prayer at the entrance to the delivery room was always the same: "God, you owe me a life - a living baby." 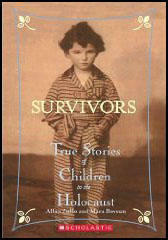 In 1948 Gisella Perl published her autobiography, I Was a Doctor at Auschwitz.